My table is currently covered in paint samples and colour charts as I try and decide what colour to paint my front door. 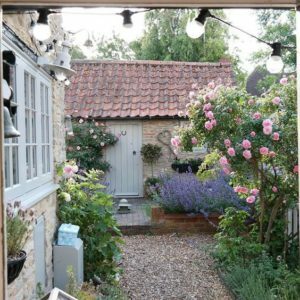 I am looking for something that will work well in its surroundings, especially with the white render that covers the outside (painted in Farrow and Ball ‘Pointing’). The front door is one of the first thing people see, whether driving past your home or coming to visit, so I want it to add curb appeal and be welcoming. But it also needs to reflect the interior style inside, which will be a stormy pallet of soft greys, blush pinks and dark navy blue. My initial thought was to go down the soft grey route, as it works beautifully with white. Dressed with sparkling chrome door furniture it will appear modern and fresh, and will compliment the chrome light fitting by my door. There are many beautiful greys on the market, but I particularly like a warm grey such as ‘French Grey’ Little Greene. 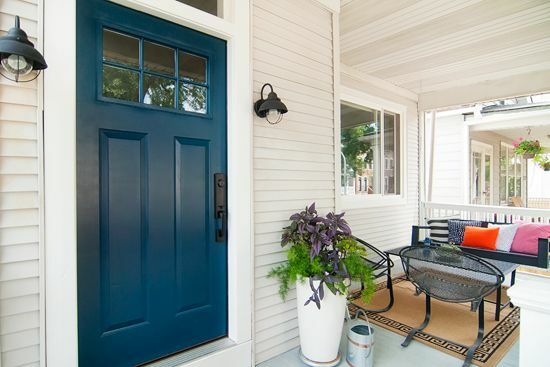 Another option would be a dark blue such as ‘Hague Blue’ Farrow and Ball. This looks beautiful flooded with natural daylight, but looks even better in gloss. A slightly more daring choice would be turquoise, which is the colour I am leaning towards at the moment. 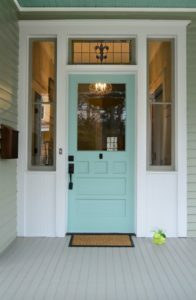 What better way to come home on a grey day and be greeted by a colour that reminds you of the sea and sky? There are many shades on the market. 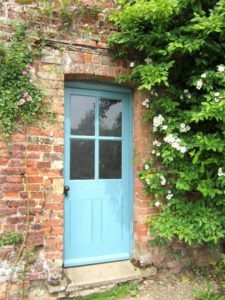 I love ‘Blue Ground’ Farrow and Ball which is described as ‘friendly and optimistic’, so the perfect colour to welcome my guests. 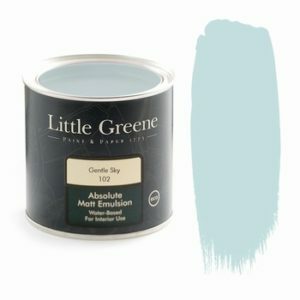 Not exactly Little Greene, ‘Gentle Sky’, but a very close match. Next step is to paint the samples up on card and pin them to the front door to see how they look in their surroundings as well as in natural daylight, which can alter a colour dramatically and my final decision!